Our latest collection of Jimmy Carter quotes on living our highest values. Jimmy Carter was the 39th president of the United States who served as the country’s chief executive from 1977 to 1981. Before he became president, he had previously served as a Georgia State Senator and as the Governor of Georgia from 1971 to 1975. 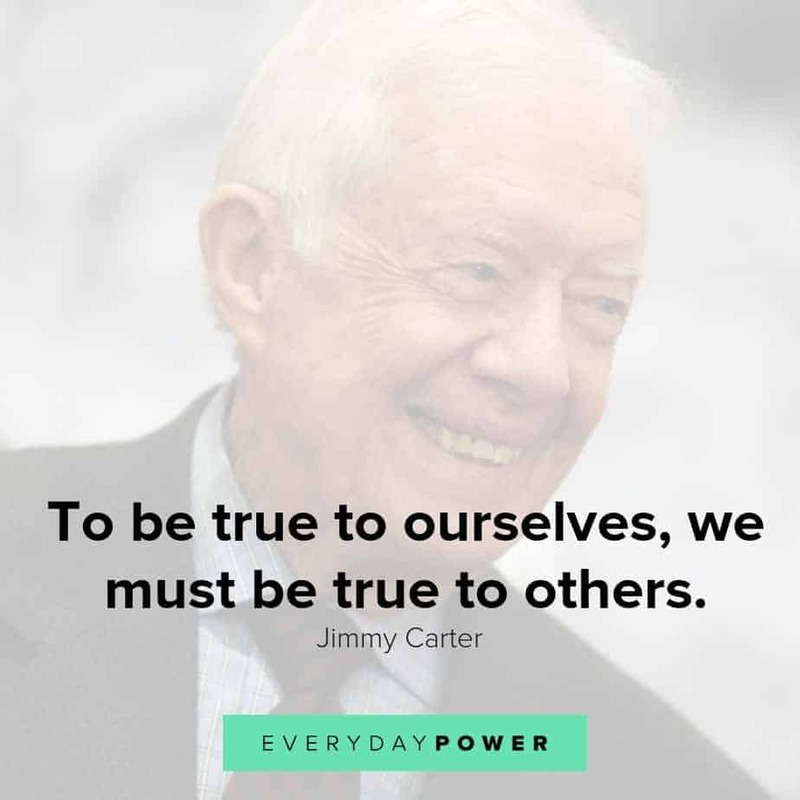 Although he served as president during a time of serious problems at home and abroad, Carter set an example as an honest man of high integrity and personal principles. He has remained active in public life during his post-presidency and demonstrated consistent convictions based on honesty and spirituality. In 2002, he was awarded the Nobel Peace Prize for his work in promoting and expanding human rights. 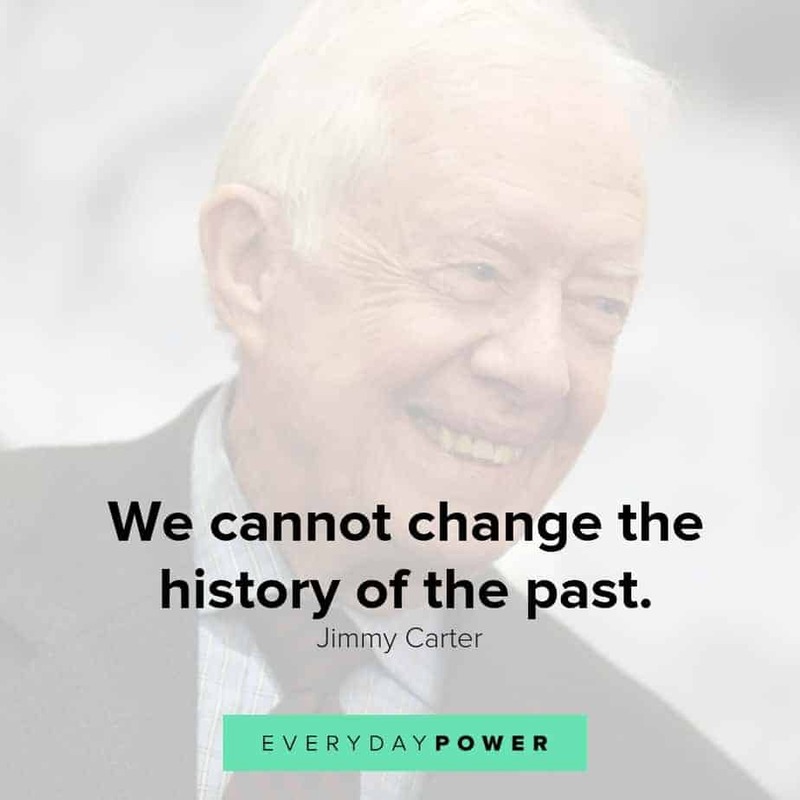 As Carter moves into the twilight of his life, there are plenty of lessons about peace, justice, fairness, and honesty that we can learn from his words of wisdom. In that respect, here are some memorable quotes from Jimmy Carter to inspire and motivate you to live your best life. Which of these Jimmy Carter Quotes was your favorite? Jimmy Carter will always be admired for his efforts to find peaceful solutions to international conflicts and to advance democracy and human rights. The world would be a better place if we all embraced his foundational characteristics. Hopefully, you’ve been inspired by the words of wisdom in these Jimmy Carter quotes. Did you enjoy these Jimmy Carter quotes? Which of the quotes resonated with you best. Tell us in the comment section below. We would love to hear all about it. 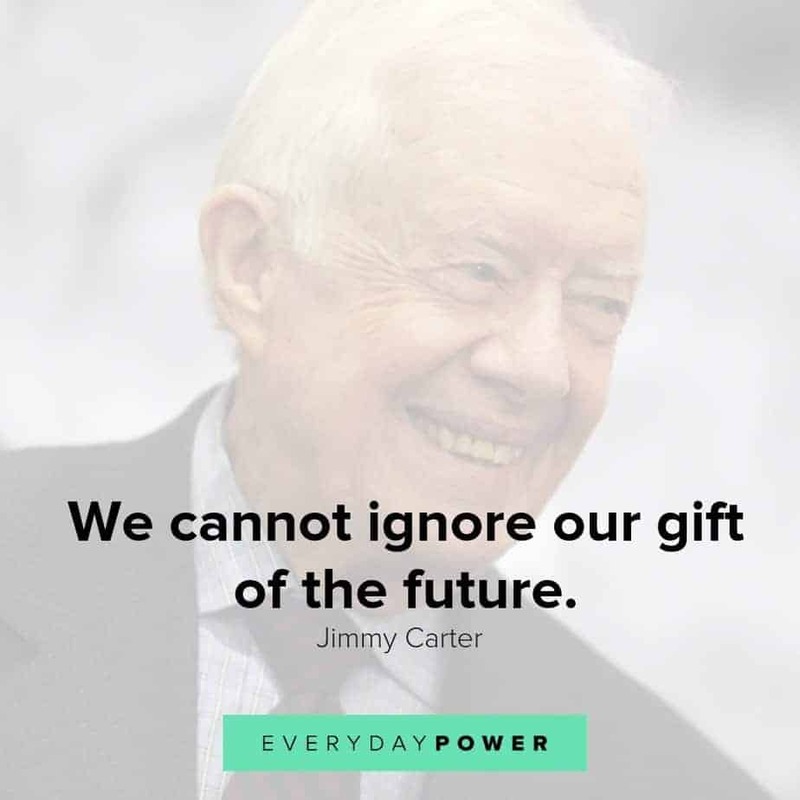 The post 30 Jimmy Carter Quotes On Living Our Highest Values appeared first on Everyday Power Blog.